Jenny Brosinski ́s art practice is a reflection of time, which deals with main topics like human remembrance, reality and truth in (context) debate of contemporary painting. The artist combines materials, like cotton and linen, which intends to emphasize the processes involved in artistic production. 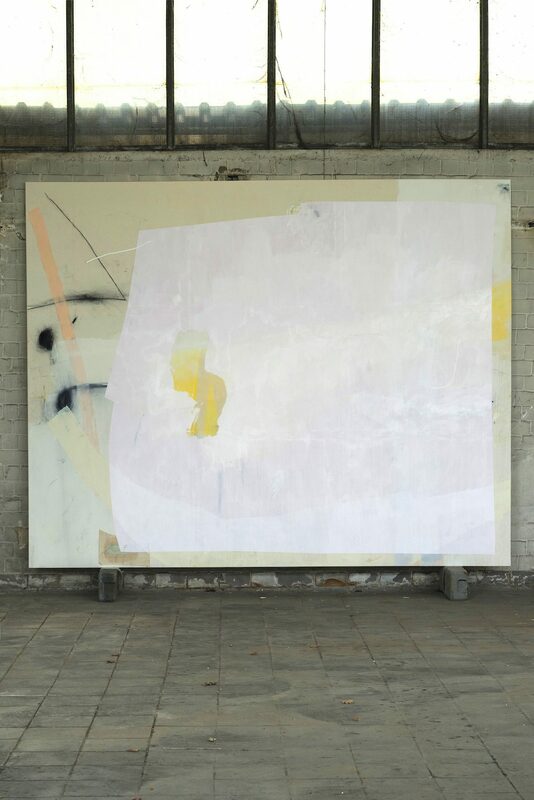 Moreover, many of her canvases remain untreated or only receive a basic glue and deliberately reveal traces of use, whereby the nature of their materiality is brought to the foreground. 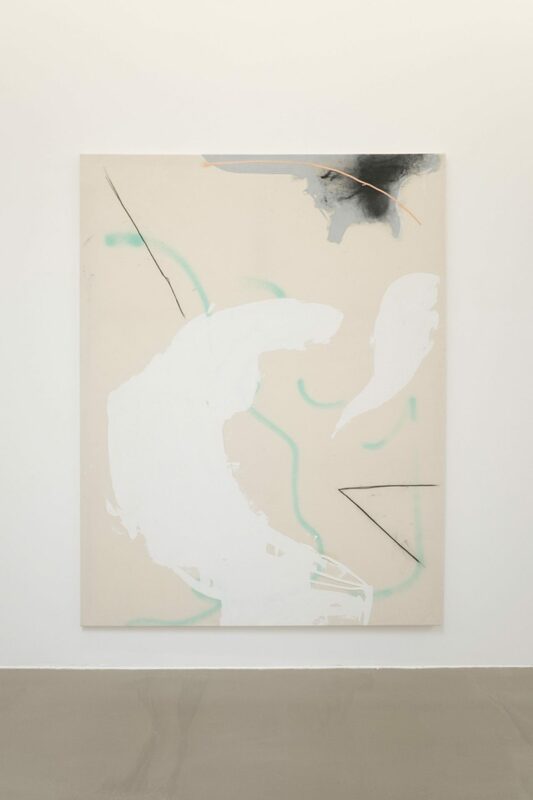 Brosinski develops her paintings by bringing them to her laundromat where, in a post-Cagean play on chance. She washes and dries them to create the striking appearance of chromatic distress that dominates her work. Brosinski collects marks on her walks around the cities. 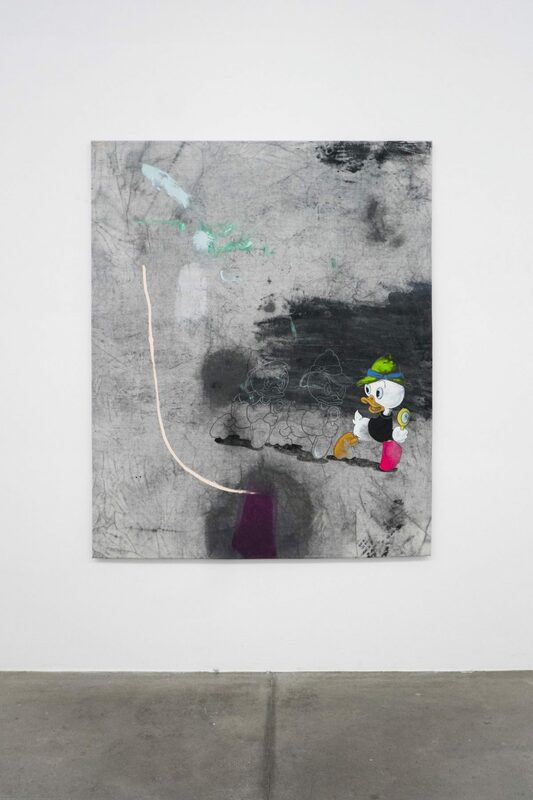 As a reflection and methodology she uses these memories for building on sensual marks and spray painted poofs layered over her sewn cotton and linen. Brosinski often plays with language through her use of both established and invented marks and symbols in intoxicating pinks and lightning yellows. The viewer is encouraged to reflect on the momentum of the artistic process, which is the main focus of Jenny Brosinski ́s work.